For anyone living in Australia, investing in blinds and awnings present a very practical investment, as it delivers on both form and function. In particular, you will want to look into the full array of Queensland blinds available at Coastwide Shade Sails, which promises to give you that aesthetic value for your living interiors at the same time the privacy and shade you need. By installing window blinds, you can better control the amount of light entering a particular room. Whether you want to fully block out the sun’s rays or part the windows to allow enough sunlight to filter through, the decision is yours. Depending on your preference and requirements, check the distance of the slates on the window blinds. 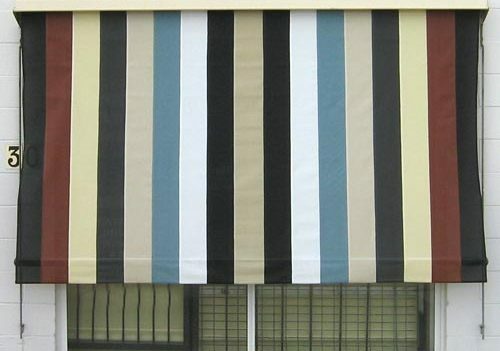 With window blinds, you will be surprised to know the different materials available at Coastwide Shade Sails. Whether you want wooden blinds to match your furniture in the living room, you can choose faux wood, bamboo or other materials to suit your fancy and budget. Unlike curtains, blinds are known to offer you greater privacy and flexibility. If privacy is an important requirement, consider installing top down shades, which can also give you a greater level of privacy. Last but not the least, one of the main reasons why blinds are widely popular is the fact that it’s easier to maintain. It simply requires a quick wipe from time to time to remove accumulated dust. Unlike curtains that require regular washing, blinds offer a far more convenient, fuss-free option. In addition, it is also more durable, most especially if you invest in aluminium or wooden blinds.